As a broker builds their business and fights against the growing mountain of paperwork on their desk, there comes a point where they may consider finding someone to help. Whether they need admin staff, phone support or marketing assistance, more and more brokers are turning to outsourcing to keep their businesses running. One broker who swears by outsourcing says her business would not be where it is today without it. Sydney-based broker Louisa Sanghera offshores tasks such as social media, bookkeeping and processing to Serbia and the Philippines. Sanghera runs Zippy Financial, and within a year of starting up she says she felt like she was “drowning” – she was staying up until 2am and only getting four hours of sleep. Her friend recommended outsourcing to her, and not being able to afford a fulltime employee in Australia she knew it was the right way to go. “When I was flat out on my own in the first year I was actually walking away from business and losing it as I didn’t have time to chase the leads,” Sanghera explains. She says she simply could not have grown the way she has done without outsourcing, and now she can spend much more time with her two children as well as on growing her business. “You cannot do everything yourself,” she says. “You have to invest in your business in the early days. 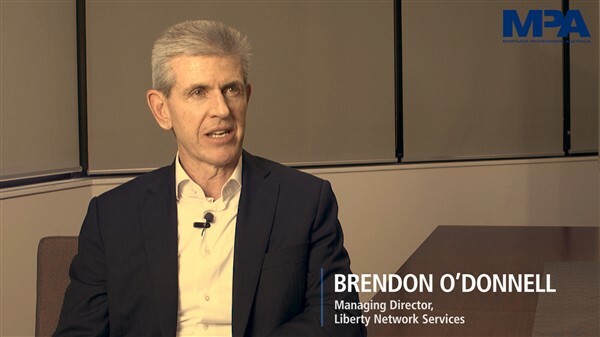 “I couldn’t afford Australian wages sadly, and outsourcing at the rates you can get abroad allows you to take staff on to help you do the work, freeing up your time to grow your business and work on getting more deals in and over the line.” Andrew Duerden, director of business services at Loanworks, a company that provides outsourced back-office support and specialised loan processing services, agrees it is a “balancing act” for brokers with so much to work on. “They need to consistently meet their customers’ expectations whilst also fulfilling their responsible lending and compliance obligations; and they need to minimise their costs whilst also building a robust and diversified referral network,” he says. Outsourcing back-office functions allows brokers to manage those priorities, freeing them up to redirect capital to their marketing, build their sales team and increase their processing capacity, Duerden says. Michael Galilee, CEO at GBSS, which provides o‑ shore business support, says cost savings are one of two reasons a broker might want to outsource. “It goes without saying that there are significant cost savings to be enjoyed via the use of offshore processing structures,” he says. “It is then up to the business to determine how best to utilise those savings, whether it be to assist the business to cope during difficult times, or to perhaps redistribute those savings into other areas such as the growth of the business via marketing or similar investment. Garry Driscoll, president of Boutique Offshore Solutions, a company that sets up and supports outsourcing o­ffices in the Philippines, says the royal commission has shown that brokers need to think ahead and set up their business models accordingly. “This means taking action now rather than waiting for something to happen then being behind,” he says. “Brokers that have embraced offshore staffing are already extremely well positioned for any changes in the market, both positive and negative. “My advice to brokers is, don’t be one of the ones left behind.” In fact, Driscoll says in the last three months alone his company has seen a “significant increase” in enquiries from brokers, which have only increased further since the commission’s recommendations were released at the start of February. “The royal commission was a huge wake-up call to brokers to look at their business models and the best ways to compete in terms of service, cost and the ability to be flexible,” he says. How do you know if you should start outsourcing? For Sanghera, losing hours of sleep and walking away from clients were clear signs that she needed to outsource. Duerden goes into further detail, saying the signs that brokers should outsource include narrowing margins, increasing deal costs and excessive time focused on administration. “From the outset, a mortgage broker should set service levels to complete key tasks, and benchmarks for key performance metrics such as conversion rates, loan amount, monthly volume and customer satisfaction,” Duerden says. “As a mortgage broker grows and nears their defined thresholds, they should start engaging an outsource service that meets their needs. Galilee says outsourcing is becoming an easier solution than ever, and anyone who is thinking of hiring onshore should consider whether it can be done elsewhere. “With the numbers of brokers already doing this increasing constantly, and the ease of communication through technological advances, strengthening your business through the use of an offshoring provider and business partner has never been easier,” he says. As Sanghera has found, much of the feedback received by these companies has been positive. Duerden said, “The feedback we receive is on how our outsourcing solutions help brokers to increase capacity, grow sales and boost their financial flexibility. Driscoll says he can give “many examples” of brokers benefiting from outsourcing. “One broker firm who specialised in construction and development loans had been too busy to take on refinances, but once they had their offshoring team trained they were able to accept the additional business they had to let go in the past. That additional business alone more than paid for their offshore staffing,” he says. However, Galilee warns that brokers can’t just expect positive results without doing any work themselves. “As with everything in business you get back what you put in,” he says. “There does need to be some preparation for such a move, and there need to be open lines of communication, along with an understanding of the cultural differences, but that is the job of the offshoring provider to assist in that transition. For brokers who are outsourcing, whether offshore or not, some of the work they have to put in includes building a trusted relationship with the team. How brokers work with their team can depend on the tasks they give them, Duerden says. But generally, “Loanworks’ outsource solutions are largely based on assigning dedicated staff to a client and supporting them with learning and development, service delivery, IT, HR and finance services,” he says. On her experience of working with offshore staff, Sanghera says, “You have to clearly communicate and be clear on exactly what you want them to do. They are fine using processing that is recorded and checklists, etc. You’ve just got to cover everything in your communications or it will come back wrong. “For me again that was hard as my staff here are used to rushing and flicking quick messages, but I do have to spell everything out for the outsourcing processors. My admin girl Skypes me all the time and we have great communication.